- THREE microns , 18 carat gold plaed on 925 sterling silver. What does micron mean? the gold plated thickness on 925 sterling silver. The higher microns, the higher gold thickness. We offer the after sale service of personalized gold plating. ( Only for jewels purchased in this shop. 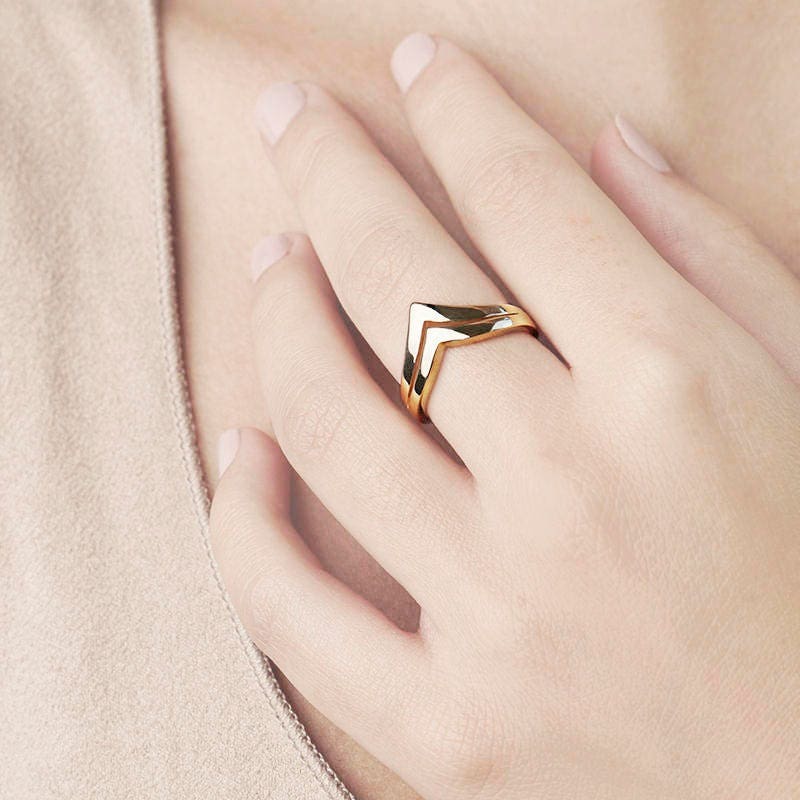 Lose yourself in the aura of minimalism offered by this designer ring. 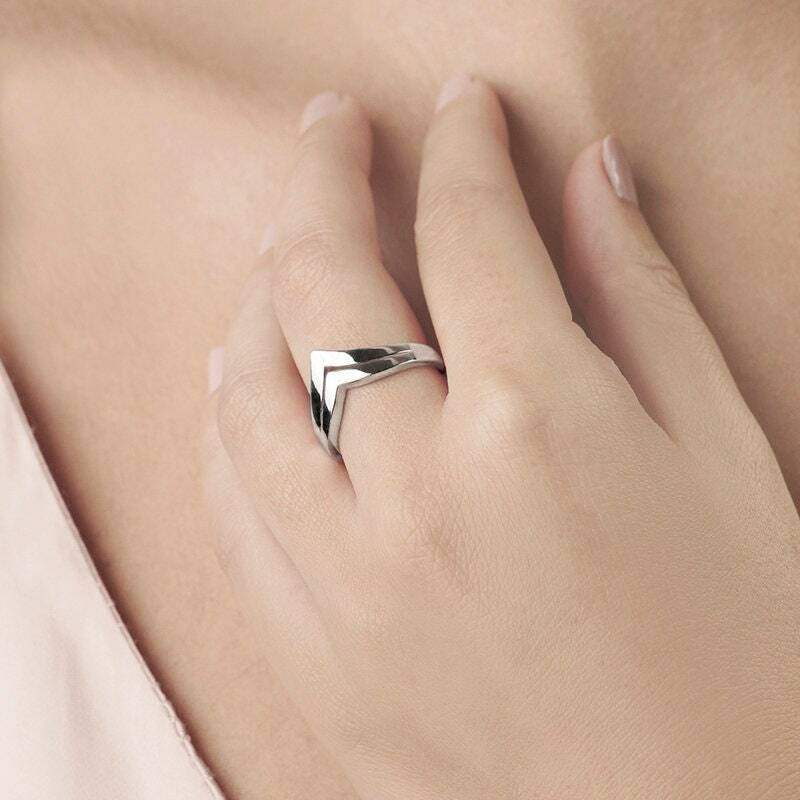 Our double V ring is perfect to match any look and to wear on any occasion. 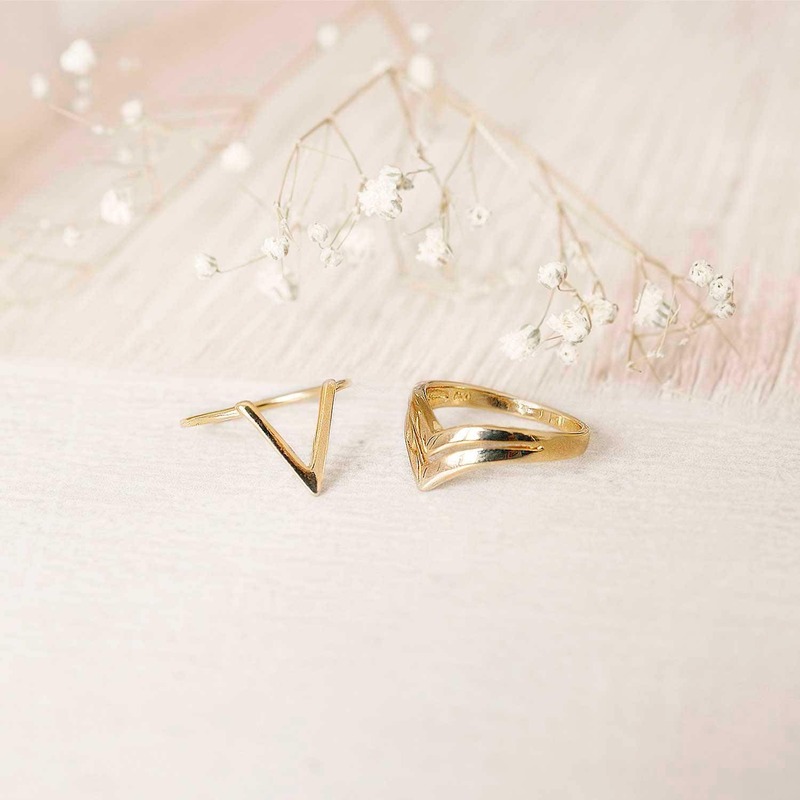 The design echoes the symbolism of the geometric triangle, creating a simple and meaningful piece representing feminine power, strength and victory. Art and modernity merge, creating a new trend of designer rings for women.